Dane van Niekerk of South Africa and Heather Knight of England chat during the ICC Women's World Cup 2017 match. South Africa bowler Shabnim Ismail reacts during the ICC Women's World Cup 2017 match. 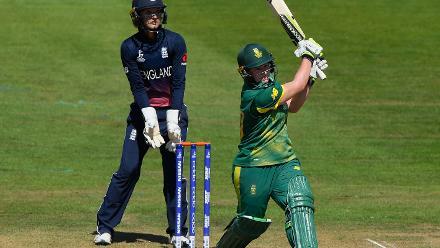 Sarah Taylor hits out during the ICC Women's World Cup 2017 match between England and South Africa. Dane van Niekerk of South Africa appeals during the ICC Women's World Cup 2017 match. 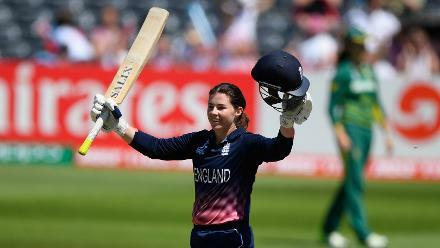 Tammy Beaumont celebrates her third century. 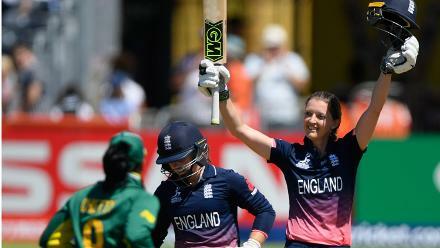 Sarah Taylor brings up her sixth ODI century. 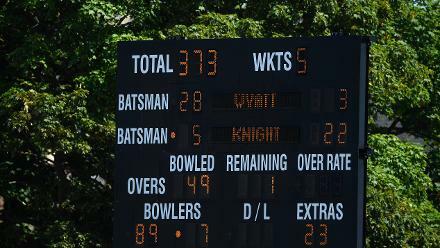 The scoreboard shows England's score after their innings during the ICC Women's World Cup 2017 match. 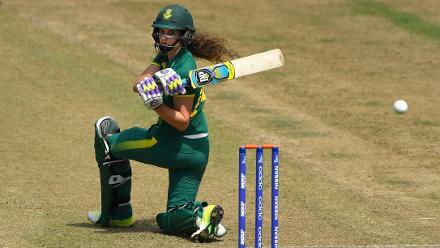 Laura Wolvaardt hits out during the ICC Women's World Cup 2017 match between England and South Africa. 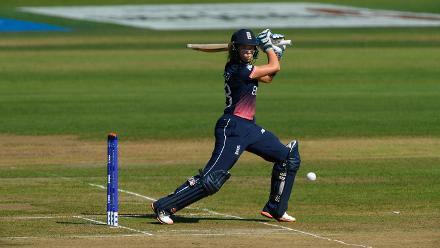 Sarah Taylor looks on as Lizelle Lee straight drives a six during the ICC Women's World Cup 2017 match between England and South Africa.